EkoMedico-Laser belongs within a group of the soft lasers for biostimulation and is equipped with scanner probe and point probes of a different power and wavelength. Physiotherapy, Acupuncture, Dermatology, Cosmetics, Dentistry, Genecology and Veterinary. 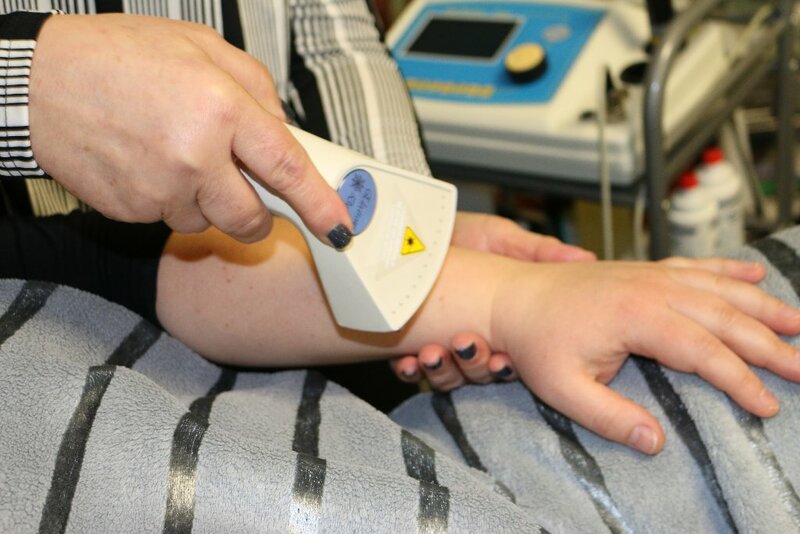 It gives a graphic display of treated points and surfaces what make treatment easy applicable. It comes with ability to connect to PC ,create detabase and save program if you need to use again. Displayed data: power, energy density , frequency, wavelength, treatment time dependent of desired energy density. Special program for equipment check to ensure reliable safe operaton.